Whether you are purchasing a microscope for a child, for use as a hobby, or for research, here are a few things to consider. Plastic or Metal: Only those microscopes made of die-cast metal are sturdy enough to withstand viewing without vibration interference. Plastic microscopes are lighter, but they are also less stable and easily damaged. The lenses (optics) in the microscope should always be made of glass. Plastic optics offer a blurry image and can be frustrating to use, especially for children. 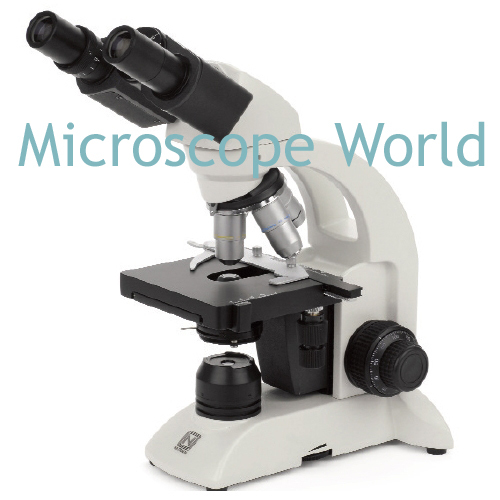 Microscope Magnification: When using a biological (high power) microscope, magnification above 1000x is frowned upon, as it offers empty magnification that will not be clear and crisp. 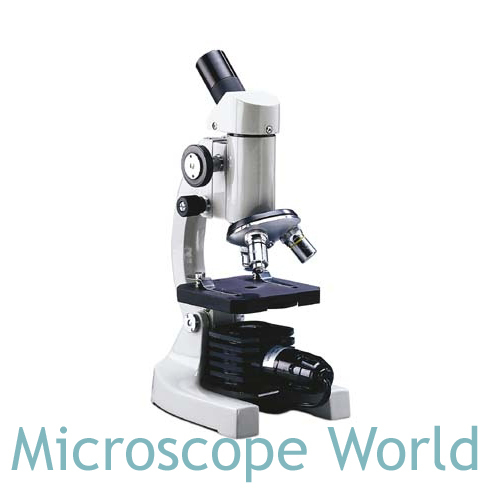 Monocular, Binocular or Trinocular Microscope: A monocular microscope has a single eyepiece for viewing. This is perfect for occasional viewing through the microscope. 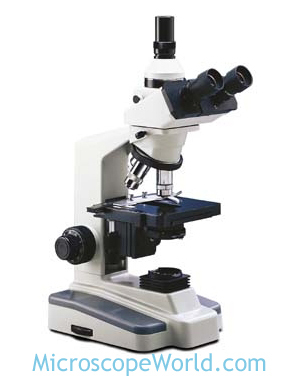 Binocular microscopes offer two eyepieces and are more comfortable for viewing items over a longer period of time. Trinocular microscopes provide two eyepieces for viewing the specimen, along with an additional eyepiece for attaching a camera (the trinocular port). Illumination: The most common microscope illuminators offered include tungsten, fluorescent, halogen and LED. Tungsten and halogen illuminators heat up, so if viewing live specimens that could be damaged by heat, it is recommended to avoid these lights. Halogen and LED illuminators are the brightest and of all the light microscope options, LED is usually preferable because of its cool, long-lasting light bulbs. Focusing: Most microscopes will offer either only coarse focusing (single focusing knob) or coarse and fine focusing (two focusing knobs). Coarse and fine focusing is generally required for clear viewing of any specimens above 40x magnification. X-Y Stage: A microscope mechanical stage allows the user to move the stage from left to right or forward and backward by using one of two knobs. Slight adjustments can be made in the stage position, making it easier to keep the specimen in the field of view while looking at it.